I'm going to tell you a secret. OK, I'm not, actually, but I got your attention. But there is a little-known, seldom-advertised device that we Abortioneers know about called the Ipas manual vacuum aspirator. In my completely non-scientific experience, the women who request it are Abortioneers or clinicians or those who are In the Know or women who live or lived abroad where the use is a bit more common. Without getting into a whole med-school lecture that I am not quite qualified to give, a first trimester abortion involves dilating the cervix to a (small) amount that corresponds with the number of weeks that the pregnancy measures, then inserting a same-sized tube that passes through the cervix and into the uterus. The aspirator then suctions out the contents, and voila, not pregnant. The aspirator is a large but simple machine that takes up room and electricity and hums in a way that isn't entirely unpleasant, but yeah, it hums. And so, the Ipas is the same idea, but it's manual and portable and according to anecdotal evidence, is a bit more gentle (it is generally used when a woman requests local anesthesia rather than full sedation) and more quiet, and therefore, more comfortable for some women. It's not a new device, but I've only seen it used a handful of times at my clinic. It really ISN'T a closely-guarded secret, and it probably is more time-consuming for physicians who have so many patients to see (If only there were more abortion doctors! If only our field were less controversial and more loved in med schools! But that's another post for another day. ), and most women do opt for general anesthesia, anyway, and the Ipas is a bit more expensive, at least at my clinic, since it's less in-demand. But I'm curious what YOUR Ipas experiences are. Have any of our readers had a manual vacuum aspiration? What was the experience like? Were you aware of this option? Does it pique your interest? In many clinics that only do 1st tris, this is actually the norm. Also, many women don't opt for general anesthesia, especially since many clinics that only do 1st tri don't even offer it. 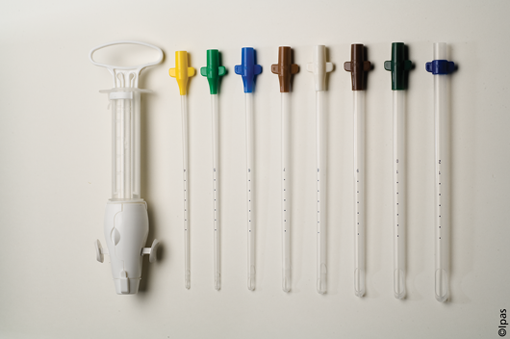 When we had our papaya abortion lesson at school we used these manual aspirators. Yes, I agree with Ali! Lots of clinics do this, but they generally have fewer patients. I think a busy clinic would have to make some changes to do more MVA - either expand abortion appointments and cut slots for other gyn services, or turn more clients away. Ideally, both service diversity and client capacity could be maintained by adding more staff, but it's hard to even find that many doctors in a given city, let alone figure out how to pay them for more time on the same procedure price. Conclusion: yet another reason that more states should allow advanced-practice clinicians (NPs and PAs) to provide first-trimester abortion. Access would increase, cost would go down, and patients would have more methods to choose from. OK, I thought all 1st trem abortions were done this way? I think I had this precedure 20 years ago. But, mine was very painful. I know it was some kind of vacuum method. Do doctors usually scrap when they dont use a vacuum and put the patient asleep? MVA is a god-sent for Abortioneers in developing countries. No electricity? No general anesthesia? No problem! There are several different methods of first-trimester abortion, including manual vacuum aspiration (MVA, often made by Ipas), electric aspiration, dilation and curettage (D&C), saline injection abortion, medication abortion (with methotrexate, mifepristone, misoprostol, or a combo of the last two). There is an instrument called a curette which is sometimes compared to a very long-handled, sharp-edged spoon. The ones I've seen are more like a small sharp loop at the end of a long handle. The curette is the primary method of removing tissue in a D&C, as you might guess from the name. Many people who experienced or heard about abortions in earlier times will talk about the "scraping," but I think D&C is less and less common nowadays. Nowadays, both manual and electric aspiration are becoming much more common than D&C. I think that the curette is used briefly at the end of an electric aspiration, to double-check that the suction has worked. I don't know if that's the same for an Ipas/MVA -- and possibly would differ based on the setting, like if you're in a place where metal instruments can't be sterilized. Desembarazarme, can you confirm/deny whether the provider used a metal curette with the Ipas in your situation? As for the other methods - as far as I know, a curette is never used in a medication abortion, but I don't know if that's also true with a saline-injection abortion. And I believe that D&C and electric aspiration are the only methods where patients might choose sedation for the procedure. If anyone knows of MVA being provided under sedation, I'd be interested to hear. Thank you for creating this post in this place. Have a fine spring weekend.